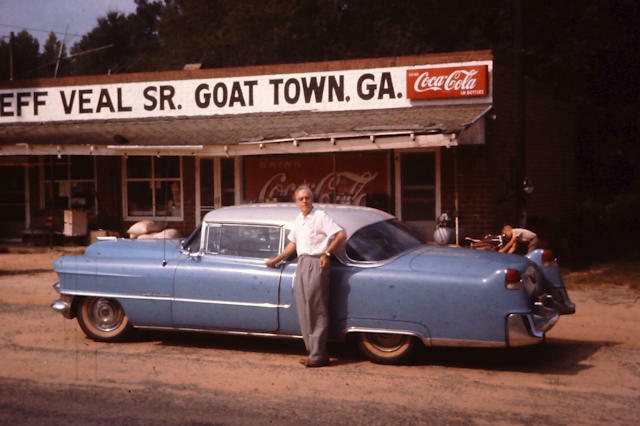 Goat Town isn’t really a town and it never was, though you can locate it on a good map. 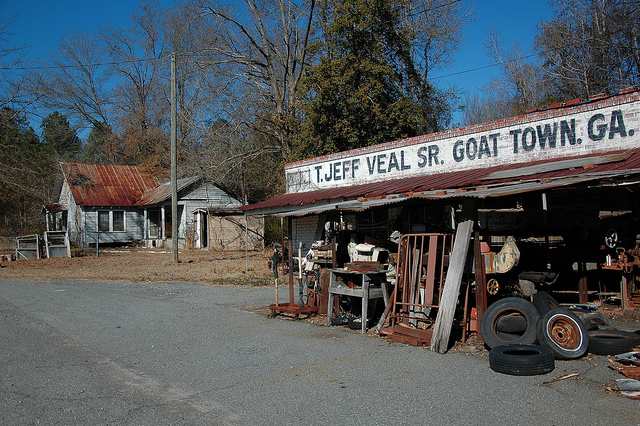 It’s just down the hill from Deepstep, whose iconic old store is also associated with the Veal family. 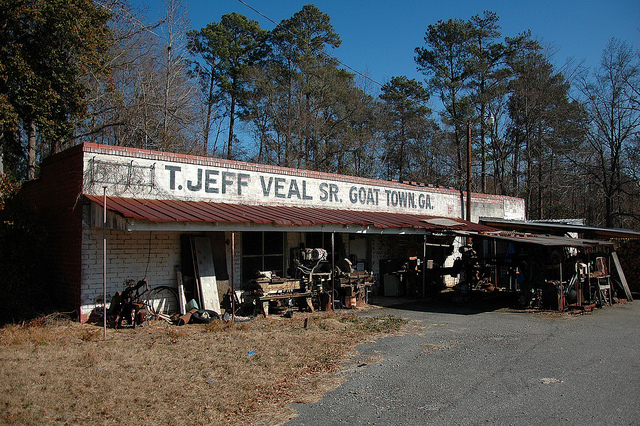 T. Jeff Veal III, who uses his grandfather’s old country store as a workshop to build custom furniture, explained to me that a large herd of goats was kept around the corner in years gone by and the name just stuck. I’ve been here a couple of times and it never ceases to amaze me; it’s widely popular with Georgia’s backroads photographers. Here’s a great vintage slide from around 1960, shared by Brett Schneider who bought it at an estate sale. The photographer and subject are unknown at this time, but that’s likely one of the Veal boys working on his bicycle in the background.